I had the honour of moderating the Analytics track on day 1 and the Content track on Day 2. I have been to many conferences throughout the world and this is definitely one of those conferences where there is no sales, no sellup, no bling, no fancy shows it’s just about knowledge. You get hands on Tactics how to improve your SEO, your SEA, your Analytics basically any online marketing related topic. To be honest the speaker selection is very very strict and you’ll get knowledge from some of the best people in the world who are absolute experts in their field so it is a joy to listen to the speakers and learn. Even if you’re good in a subject or topic you can still learn a lot from these people and if I go to a conference and I learn three things or get 3 new ideas I’m already very happy and this time it was again so much more. Next up was Yehoshua Coren the Analytics Ninja and he explained detailed how segmentation and Analytics works and how important that it is. He kicked off the theme for the next sessions in the analytics track because he said you have to Customise your Analytics. If you think about it how can a tool like Google Analytics which is installed on several hundreds of millions of websites be correct out of the box and work for all businesses. This was exactly the point all of the next sessions think about what you want to track and what is right for your business And then customise your Analytics accordingly because otherwise you will not get the most out of your data. was full of great sessions again this was content so more into the direction of SEO. 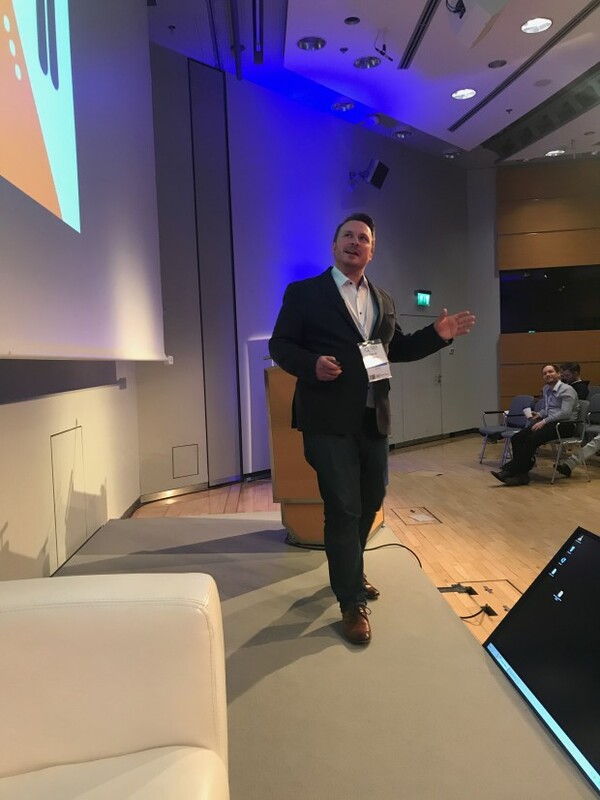 One of my favourite sessions of Day 2 of SMX Munich was the session with Marcus Tober about ranking factors. His main point was that in all niches they have the separate ranking factors so to compete in in your niche you have to see what makes the other competitors of yours rank. So you can’t just say that because another website outside of your niche ranks because they have a lot of videos you have to create a lot of videos as well. It definitely makes sense to also do other things that your competitors are not doing but look at what they are doing and if this relates to why they are ranking and then do the same. He also said that links still work and are an important factor. that’s a very important statement IMHO. Then there was a very impressive track and from David Brych who showed how to do a really professional and actually loved YouTube channel with a company that does transportation and logistics with big trucks so a real B2B Business. Very interesting as the company has no B2C relation at all but it is interesting how well the channel is received through authenticity and when they come to shows in the logistics space they are celebrated as stars now thats impressive with a B2B company. Other great sessions of that day were with the ever running ever smiling and star of morning television in georgia Frank Hohenleitner, the new head of SEO at gute Frage Melanie Ruf, link rating and tool god Christoph Cemper, the ever impressive and super knowledgable Bill Hunt, the very creative Laura Crimmons, Paddy Mogan. This was a very intense time with no time in between these events and it was back to back conferences and masterminds for 10 days. The other thing I would suggest is to collect your tickets for the conference a day in advance so you don’t have to queue at the entrance on the day of the conference. That way you might miss the panel you want to see. Use the network events that are provided by the conference to meet the amazing people visiting the conference. That way you can get the most out of a conference besides that panels. That’s why you should always carry business cards even if they are old school. You still want to use these as they are so simple to give away and people appreciate a simple way of connecting instead of giving out information digital the which is still very difficult. Also take a healthy snack with you and avoid sugar as this will make you tired after lunch. Always keep in mind if you don’t have time to eat or if the food is not to your liking you can either starve or have a small healthy snack with you to power up again. Especially at a conference where the days are long because of the evening events you might not have time to change or get back to the hotel and have a proper meal as the networking events start directly after the panels. Of course, always drink enough water most good conferences have free water so this is still easy to do but people forget to do this in their daily lives. So the Blockchain World Conference was exceptionally well organised and beautifully set at the Grand Hyatt hotel in Bangkok and the stage was beautiful sound was great a very professional setup and the speeches as blockchain technology is still evolving where very different to each other so there were so many different topics in one conference. the conference gave me a good overview of the development and insights into certain ICO teams and what they’re doing what they’re thinking. This was great to see and to feel a bit more the blockchain community and where it is at right now. The next day was the first Facebook Mastermind which was just about Facebook performance marketing and very deep into technology and advertising techniques to boost your campaign performance. It is really interesting to meet people on your level that are executing at an amazingly high level and having success. I can really recommend everyone to go to masterminds because meeting people on your level and connecting with them in an intimate way in a small group is the best way to push things forward. As I already said with these events there is basically no free time. After the mastermind, I went straight to one of the networking events which is one of the most important things of the conference where you can meet the best people of the industry talk about what’s happening what’s going on right now and what’s going to happen in the future. You get introduced to new people which can help you in the future and this is why I think it is so important to always network. For me to do business with someone typically takes a few meetings and seeing someone over and over again at these conferences helps a lot to get to know someone. I recommend you to go to as many networking events as you can and talk to as many people as possible with the small talk give them your business card. I’m always trying to talk to as many people as I can because it might be that one person that I need exactly to push my business forward. The Affiliate World Asia conference was the next day the conference was beautifully set up in the Grand Centara World in Bangkok and the expo booth setup was perfect to meet all the people I needed to meet and some amazing panels to see. To be fair I had to walk out of some panels because there were too basic for me but just right for beginners. Overall this was an amazing conference much better than the Affiliate Summit in New York City or Las Vegas. Networking is strong at both conferences but this is because of the great people attending both conferences. This conference is a special one because this is just focused on Facebook marketing and how to get more out of your campaigns to make more money with your company’s or more leads or more performance. All of the speakers were exceptional at this conference and I have to say this was way more focused on power through the content than most conferences. It was more like a training than anything else and I have to say that the content was just amazing. Hearing speakers like Tim Burd, Patrick Dermak from Adbaker and James Van Elswyk was fantastic it’s just amazing as they are so knowledgeable. The organizers of stack that money invited the best affiliates in the industry to a private island near Phuket. 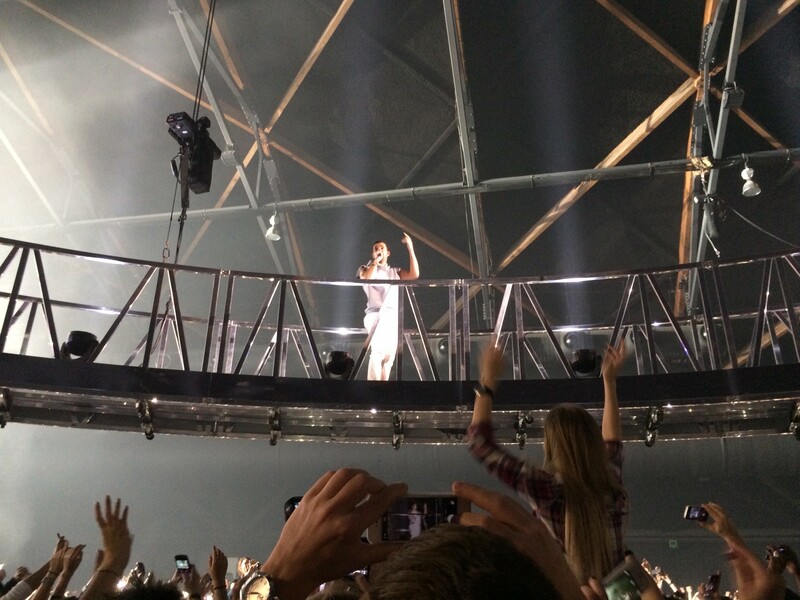 This was just amazing, watched the video to know what I mean. All the Facebook marketing speaker from the affiliate world Asia and the iStack training were there to teach and even to learn from each other as some of the speakers were even attendees that’s how high the level was. The guys from adbaker where there Patrick and Simon both blow my mind with their analytic skill of analyzing problems and combining this with Facebook marketing. The Tan brothers dropping mad dropshipping skills. James Van Elswyk went even more in detail than on the iStack Training wow. Jason Kryski showing off his ad creation skill and getting those last 10% ROI. And Mohamed Ali he ended this knowledge blast with insane dropshipping hands on. The main topics were dropshipping related with Facebook, the insane amounts of money to be made there and overall how to scale up. Just look at the speakers list at the Elite Retreat and you can understand how amazing this was. 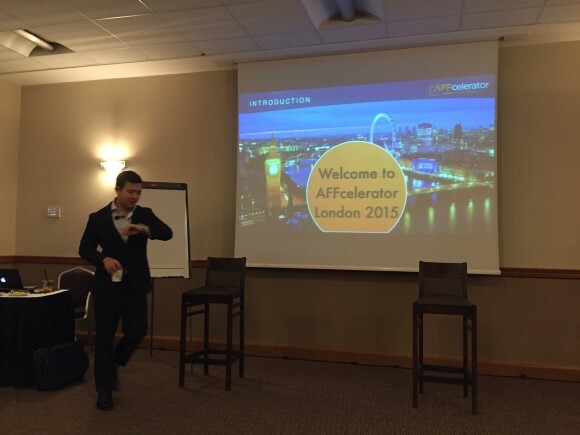 I just returned from London after taking Charles Ngo’s Affcelerator Affiliate Workshop and this is what I thought of it. I consider myself quit knowledgable when it comes to online marketing, web development, affiliate marketing and the internet, but I really wanted to see what the most sought after affiliate marketing course had to offer. I wanted to benchmark myself. So what is it all about. Charles Ngo is a very successful affiliate and he teaches in a 3 day course intermediate to advanced knowledge about affiliate marketing. 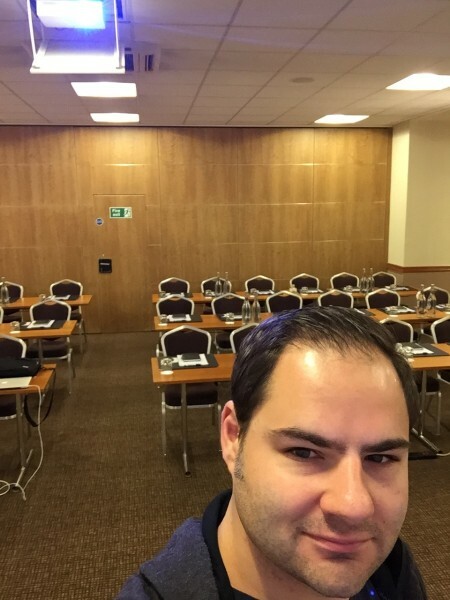 You should know that I have held my own workshop series for technical seo and it is very exhausting so putting together a 3 day workshop is a lot of work and a lot of information. I bet most of you wonder at that price why would anyone pay that much. Well I wanted to see and know what the best know. And Charles delivered what he promised, he did not hold back on any information he was very open to any questions. He was teaching more and more advanced stuff as the days progressed and day 3 blew all of our minds, I am not kidding, It was totally worth the 10k we payed. Maybe you can learn everything he teaches over years and years but it will take a lot of time and it is never as streamlined as here and put into a blueprint to be successful at affiliate marketing. The networking with the other attendees who are all experienced as Charles does the interviews is very valuable and then you also have Charles and Tony to ask questions. If you are wondering if you should take the affcelerator class feel free to ask me I hope I can help you decide. I hope you understand that I can’t share any of the content from the workshop. 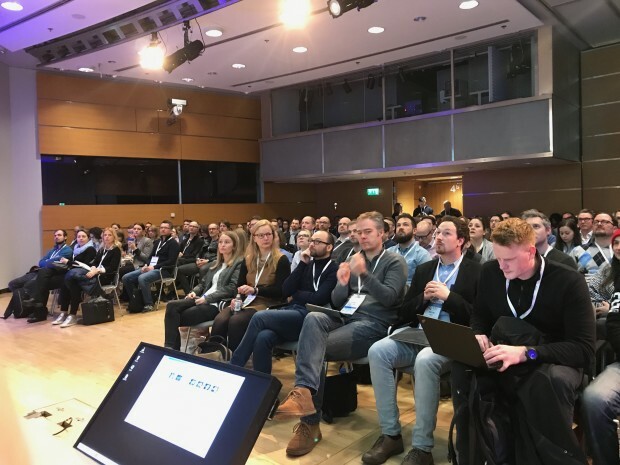 Gestern war der erste Tag der größten Online Marketing Konferenz Europas – der SMX München. Durch einen Ausfall eines Speakers durfte ich einspringen und eine Präsentation über typische Fehler von Webdesignern und Entwicklern im SEO halten. Die Präsentation werde ich natürlich hier zur Verfügung stellen. 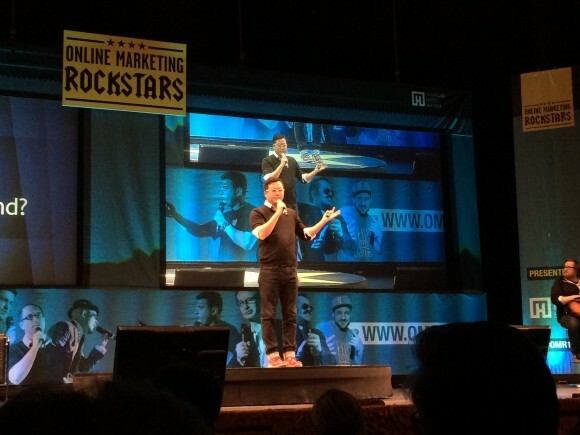 Ein kurzer recap zu der sehr gelungenen Online Marketing Rockstars Konferenz 2014 in Hamburg. Die Größe der Veranstaltung ist der Wahnsinn, über 2000 Teilnehmer! Viele der vortragenden waren internationale Größen im Bereich Online Marketing. Wie Jonah Peretti von Buzzfeed oder Ben Hu von cheezburgers Network oder auch Rand Fishkin von Moz.org. Auch viele spannende deutsche Hidden Champions waren da aus Hamburg oder Berlin (OMR Programm). Auch wenn nicht jeder Vortrag in die Tiefe ging, war er dann aber sehr inspirierend. Besonders bei den Top amerikanischen Speakern. Interessant war die Verteilung der Themen. Es ging viel um Content und Display Real Time Bidding und nur in einem Vortrag von Rand Fishkin über SEO. 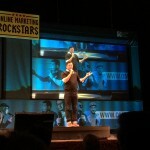 Die Location in der sonst für das Musical König der Löwen stattfindet auf der andern Elbseite wo man wunderschön mit einer kleinen Bootsfahrt übersetzen konnte war besonders vom Sound, Licht und Sichtbarkeit der Speaker perfekt. Zwischendrin noch ein Auftritt von das Bo und einer von Fettes Brot als Krönung einer sehr gelungenen Veranstaltung. 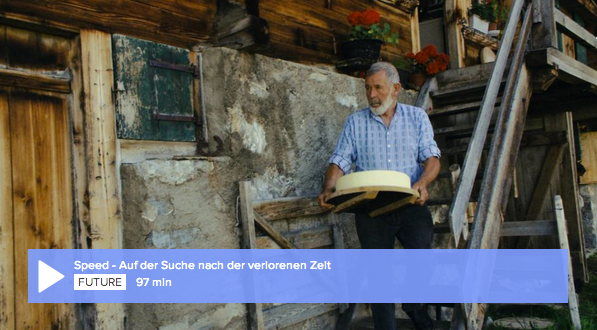 Ich habe Gestern diese sehr gute und spannende Doku über Zeit und Glück der Menschen angeschaut auf Arte in der Mediathek. Die Suche nach der Zeit ist spannend und warum wir immer denken keine Zeit zu haben. Spannend ist dass für jeden das Zeitempfinden so wie der Druck anders ist. Auf jeden Fall eine sehr sehenswerte Doku für alle die sich gehetzt und unter Zeitdruck fühlen auch ein bisschen nach dem eigenen Glück suchen. 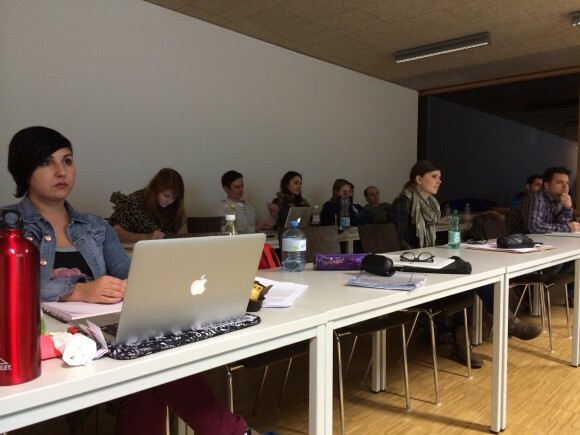 Ich freue mich sehr, heute vor den Digital Marketing Studenten der FH Kufstein über das Thema SEO sprechen zu dürfen. Hier nur das Deckblatt meiner Präsentation die es dann später auch bei Slideshare plus ein paar Fotos gibt. Sehr spannend mal vor Studenten und nicht vor Fachpublikum zu halten. Vielen Dank an Fabian für die netten Worten! Wieder zurück von „mit den Affiliates geht’s Bergab Part 7“ war es wieder ein wunderbares Event mit viel Sport und Networking. 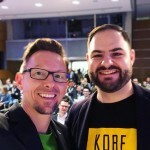 Was ich an dieser Veranstaltung besonders liebe ist das Networking mit neuen Onlinern und das reconnecten mit Freunden aus der Onlinemarketingbranche. 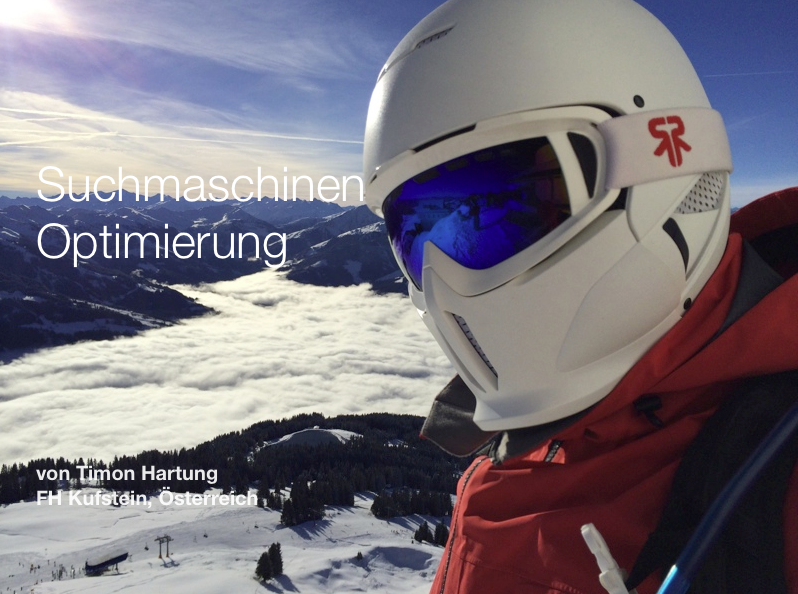 Es sind immer wieder neue spannende Sichtweisen und Ansätze dabei die man nur in Ruhe auf so einer gemütlichen Berghütte nach einem Tag Skifahren besprechen kann und nicht auf der Hektik einer Konferenz oder Messe. Das Ganze wäre aber längst nicht so entspannt wenn sich nicht der Markus (Winterparty.net) die ganze Zeit um unser Wohl sorgen würde. Danke! Wetter war natürlich wie immer so bestellt dass man eher auf der Hütte zusammenbleibt. 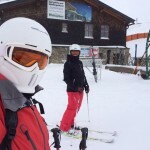 Erster Tag Schnee Chaos so dass es schon Verzögerungen bei der Anreise gab und dann auf der Piste wenig Sicht durch das Schneetreiben. Am nächsten Tag dann wunderbarerer Neuschnee aber leider soviel Wind dass die Gondel nur bis zur Mittelstation fahren durfte und die anderen Lifte auf dem Berg auch aus waren. Wir sind trotz der Gefahr dass wir wieder zur Hütte hochlaufen müssen abgefahren und hatten noch einen schönen Skitag. Zum Glück wurden wir am ende von der Pistenraupe hochgefahren. Andere zahlen bei Jochen Schweizer viel Geld für so was. Der letzte Tag war dann wieder besser alle lifte waren wieder in Betrieb und es lag viel Neuschnee. 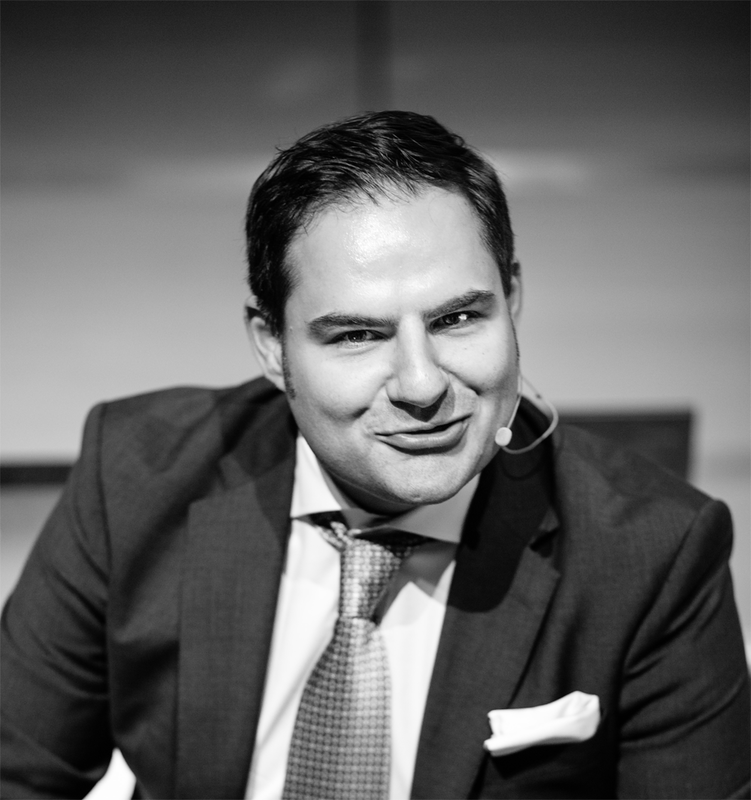 Wie Jedes Jahr muss ich mich sehr für die Organisation von Markus bedanken und natürlich allen Teilnehmern die das Event immer so schön machen. Ich glaube das Video kennen wir alle aber was man daraus lernen kann. WOW in 3 min!